from Whistler to Blackcomb on the Peak to Peak gondola. Playing in a fresh dump of Harmony Bowl powder. Post-ski hydrotherapy at Scandinave Spa, Whistler. Why eat at just one of Whistler's restaurants when you can set off on an organised tasting tour? The zippiest way to see Whistler. 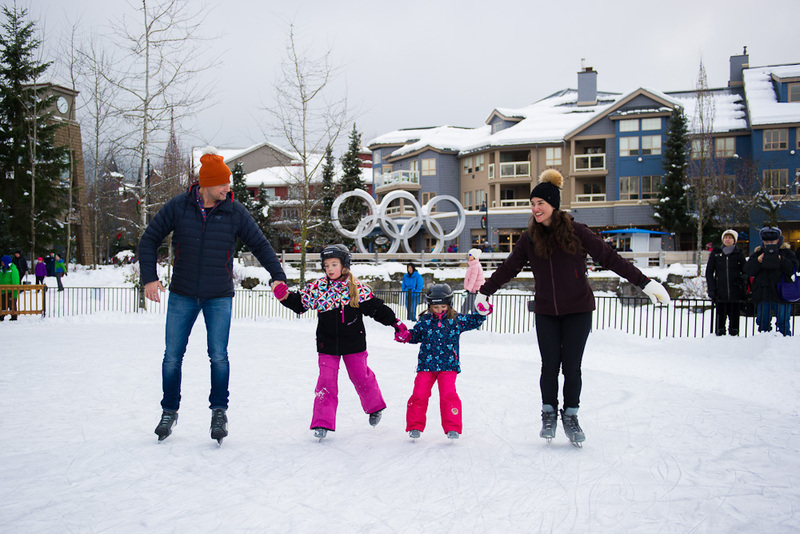 Get your skates on: Ice skating with the whole family in Whistler village. Arrive in Vancouver and embark on the 90-minute breathtakingly scenic trip up the Sea to Sky Highway to Whistler. Check in and then explore the vibrant pedestrian village; home to more than 90 bars and restaurants, and 200 shops. If you are renting ski or snowboard equipment, get fitted up now. This way you are ready to go first thing in the morning. 7:00pm Enjoy dinner, live music and the great atmosphere at Irish pub Dubh Linn Gate! 7:30am Start off your morning with a yummy breakfast at locals’ favourite Pure Bread. The atmosphere is warm and welcoming and the pastries are delicious. 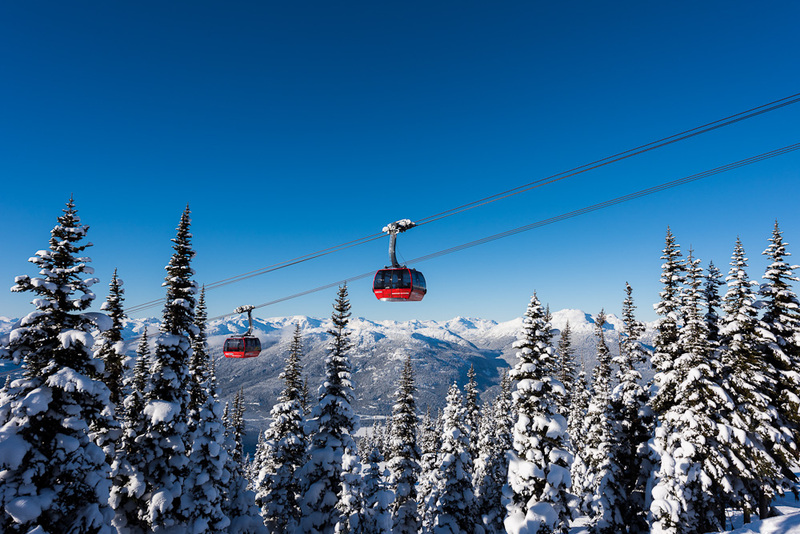 8:30am Spend the day exploring Whistler Mountain, including venturing out to the Harmony Zone, where you will be able to ride the high-speed 6-person chairlift. 11:15am First time at Whistler? Have a local show you around on either the Whistler Orientation, Blackcomb Orientation and/or Blackcomb Glacier tours. 1:00pm Try a calzone on the patio for lunch at Chic Pea. 5:00pm Snowmobile or snowcat to charming Crystal Hut, perched atop Blackcomb Mountain (2240m). Chefs will treat you to a local interpretation of a traditional candle-lit fondue dinner. 7:00am Grab your equipment, board the Whistler Gondola and head up to Roundhouse Lodge for a delicious, mountain-sized Fresh Tracks buffet breakfast, atop the mountain. Added bonus: Get your fill of fresh powder or groomed corduroy on the upper mountain before the rest of the world is even out of bed. After a few runs on Whistler, make your way over to Blackcomb Mountain via the Peak 2 Peak Gondola, a 360-degree window into Whistler Blackcomb’s alpine environment. 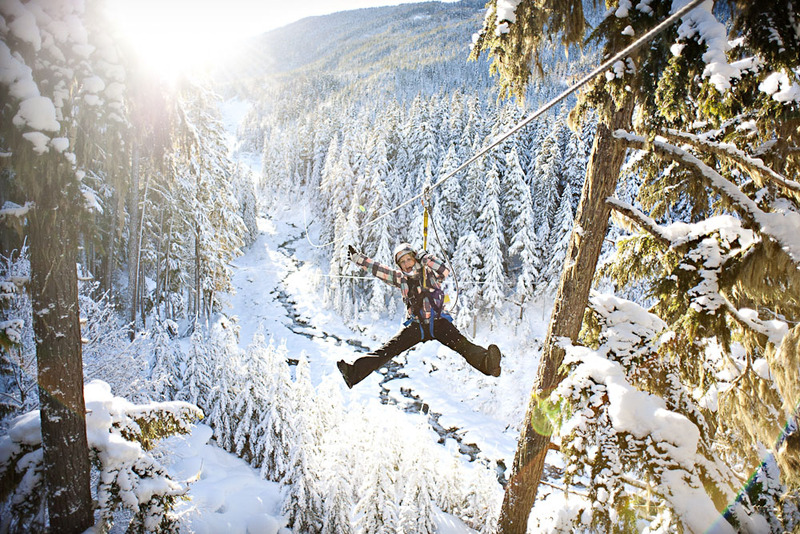 3:00pm After skiing, carry on your adventure with an exhilarating zipline tour. Ziptrek Ecotours provides both an adrenaline rush and an educational component, offering unique insights into the surrounding environment. 7:00pm Enjoy a fresh pasta dinner at Pasta Lupino, which have offered warm, welcoming service for 16 years. 8:00am Want to take your experience to the next level? 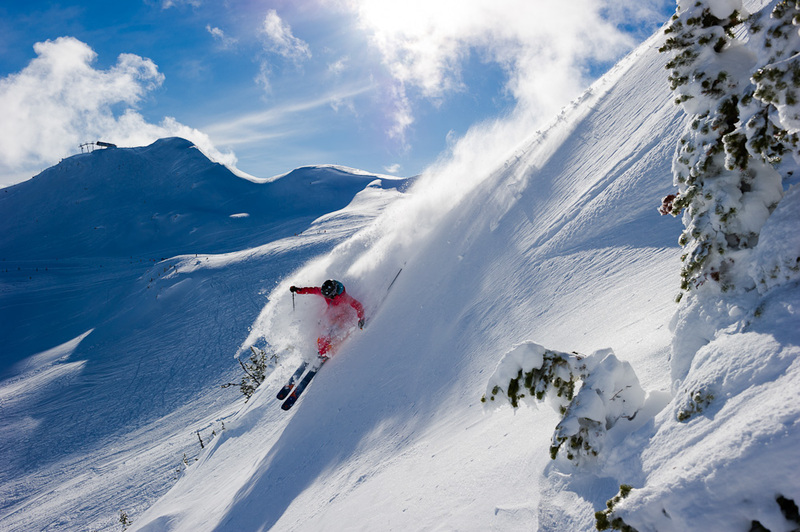 Whistler Heli-Skiing has exclusive rights to 432,000 acres of big mountain terrain. There are packages to suit strong intermediates and above. 3:30pm Head to Garibaldi Lift Company Bar and Grill at the base of Whistler Village Gondola to sample the mountain’s fine après ski tradition. 5:00pm Relax your sore muscles at the outdoor Scandinave Spa, which offers hydrotherapy in spectacular forested surrounds. 8:30pm After a long day, grab an Australian-style meat pie from Peaked Pies. 8:00am Start with a delicious breakfast at Elements, renowned for its eggs benny. 9:00am Mush! Expect an adventure when you travel through Whistler’s snow-covered forests on a two-and-half hour dogsled tour. It’s fun for the whole family and definitely brag-worthy when you get back home. 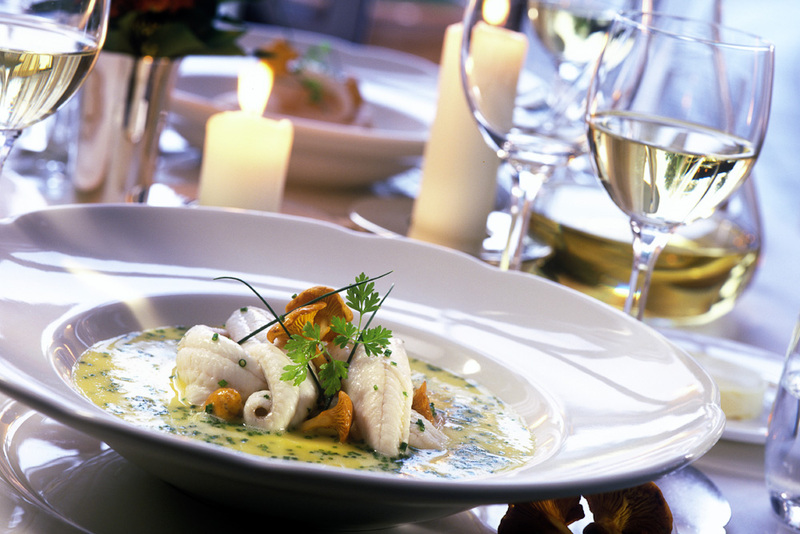 5:00pm Experience some of the resort’s finest restaurants with Whistler Tasting Tours. During this guided three-hour walk, you will enjoy a four-course dinner; each delicious serving is provided by a different restaurant and expertly paired with fine British Columbian wine. 8:00pm Cap off the evening with a true Canadian experience: ice skating at the outdoor rink at Whistler Olympic Plaza. 8:30am Grab your skis or snowboard and head to Crystal Hut on Blackcomb Mountain for some famous Belgian waffles for breakfast. 1:00pm Enjoy lunch at Dusty’s Bar and BBQ, Whistler’s original watering hole with legend, lore and finger lickin’ BBQ sauce. (You will need to ski down Whistler Mountain to the base of the Creekside Gondola). 4:00pm Head to Base 2 on Blackcomb Mountain to feel the wind in your face as your cruise down the exhilarating Coca-Cola Tube Park. There’s no skill or equipment required – just a desire for excitement. 7:00pm For your last night in Whistler, treat yourself to dinner right in the heart of the village, at Araxi restaurant. Sadly, it’s time to depart Whistler. MORE: For the best ski packages to Whistler and savings of up to 50 per cent, check out Skimax.